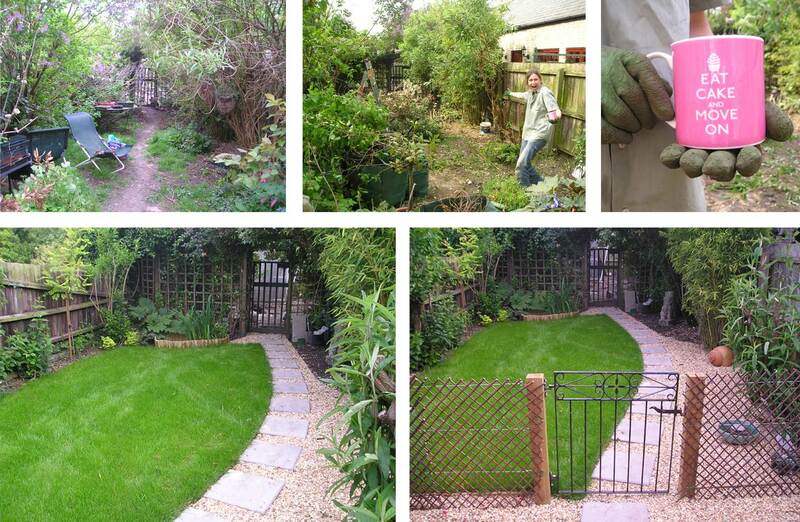 We did this garden to a tight budget, saving money by using reclaimed materials wherever possible. Reclaimed we should say, most expertly by the client. She got her neighbours and children to help clear the place and have a bonfire, and she collected abandoned paving slabs and an iron gate to complete the job. We loved working for this client! She was so resourceful and positive. We did this without a formal design and plan. It is the nice curved path that makes it a success. Just goes to show what you can do with simple concrete slabs, gravel and turf. And lots of help!